Copenhagen will have a hard time blocking the Gazprom-backed Nord Stream 2 gas pipeline passing through its territorial waters because it has already allowed Nord Stream 1 to use the exact same route, according to an attorney. The Danish government is seeking to pass a law through parliament in October, which is aimed at blocking the construction of Nord Stream 2 in the country’s territorial waters. “We want to have the possibility to say yes or no from a perspective of security and foreign policy,” the minister of energy and climate, Lars Christian Lilleholt, told Reuters in April, explaining that it was currently only possible to veto such projects on the grounds of environmental concerns. However, blocking a pipeline purely on political grounds will be difficult, says a lawyer who specialises in representing states, international institutions and energy companies in the fields of dispute resolution and international law. “No, it can’t stop the whole thing,” said the London-based advocate Ana Stanič, in response to a question about Denmark’s chances of blocking the project on foreign policy grounds. “It could if it was to say that there are environmental concerns,” Stanič told a EURACTIV event on Wednesday (6 September). “But given that Denmark already allowed Nord Stream 1 and that the route is the same, it’s going to be quite hard for them to do that,” she argued. Nord Stream 2 is a joint venture between Russia’s Gazprom, France’s Engie, Austria’s OMV AG, Royal Dutch Shell and Germany’s Uniper. Once completed, the pipeline is expected to bring 55 billion cubic meters of natural gas per year to Germany, via the Baltic Sea. 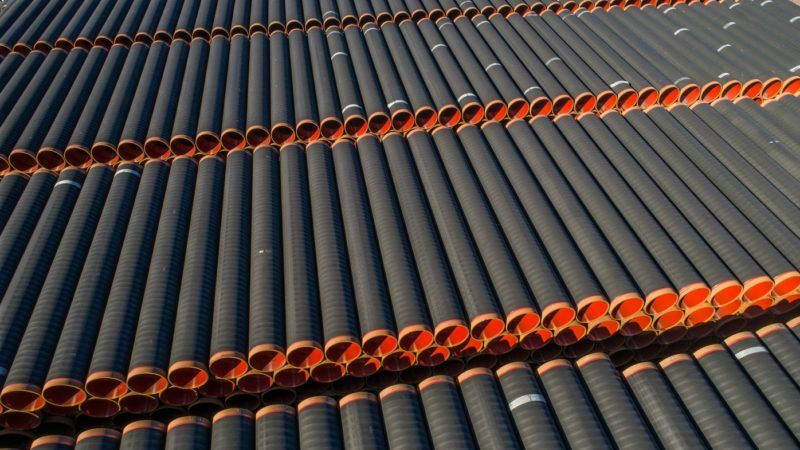 Opponents of the project – including Poland, the Baltic states and Denmark – argue that Nord Stream 2 would increase the EU’s dependence on Gazprom, the Russian gas export monopoly which already supplies about a third of the bloc’s gas. 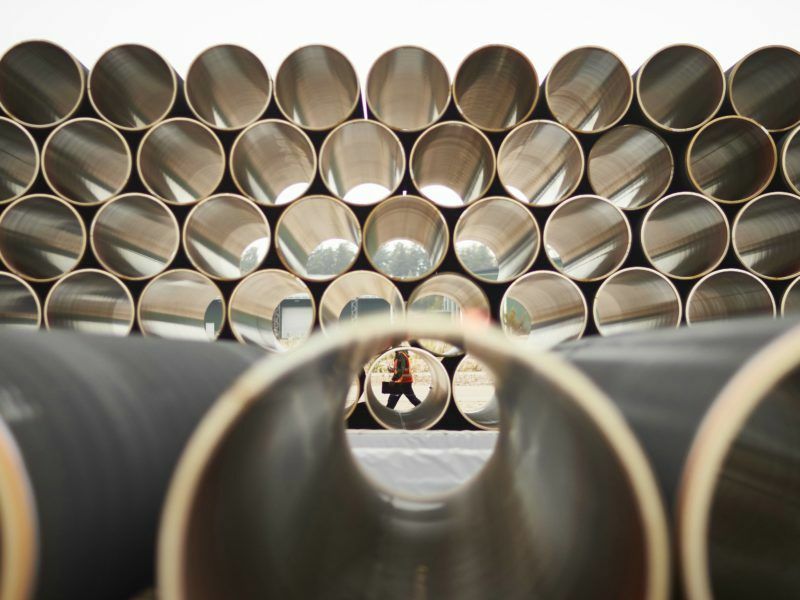 Germany, the main beneficiary of the project, backs Nord Stream 2 on economic grounds, saying it will add supplies to the European market and push prices down. The project took an additional political dimension in June when the European Commission asked member states to give it a mandate to negotiate directly with Russia. Estonia, a Nord Stream 2 opponent, threw its hat into the ring in July when it took over the EU’s six-month rotating presidency, saying it would seek a broader mandate for the Commission that covers not only Nord Stream 2 but gas imports from Russia more generally. That would help to circumvent the legal argument that Nord stream 2 can go ahead by simply piggy-backing on Nord Stream 1. However, the EU’s chances of success appear slim. 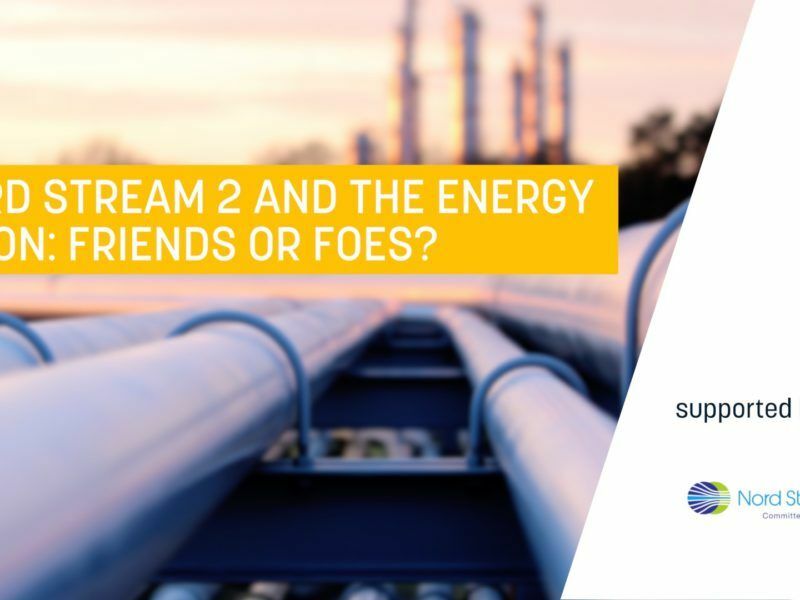 “The idea that the EU would have exclusive competence to negotiate energy agreements with third countries is something that member states have never supported so far,” said Sebastian Sass, an adviser and representative of the Nord Steam 2 consortium, which supported the EURACTIV event. “Member states have always turned it down,” Sass added, referring to similar attempts made in the past. Furthermore, so-called reinforced qualified majority voting would apply in this case, he pointed out, meaning that 21 out of 28 EU member states would be needed to support the executive’s proposed mandate. Thomas Pellerin-Carlin, a research fellow at the Jacques Delors Institute, a pro-European think tank, argued along radically opposite lines. According to him, the EU’s flagship energy diplomacy project would be “a joke” if the European Commission doesn’t get a mandate. “If we really believe that we want an Energy Union, then we need to get some kind of mandate for the European Commission. Otherwise, all our talk about common foreign policy and energy diplomacy is a joke,” he said, adding this will be one of the key challenges for the Franco-German couple after the elections in Germany. Stanič, for her part, doesn’t rule out the possibility that the Commission succeeds in getting a mandate. “My understanding is that a number of member states haven’t expressed a position at all yet. So it’s hard to predict,” she stated. 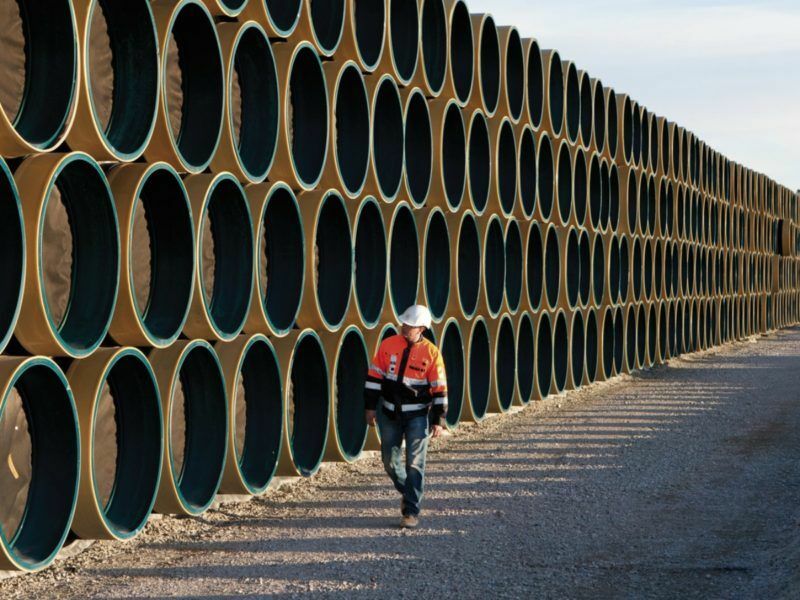 The attorney also warned that the decision “goes beyond Nord Stream 2” and will “set a precedent” for other projects like Opal, another disputed Gazprom-backed pipeline which aims to supply gas customers in Germany and the Czech Republic. Small EU member states like Slovenia might also be reluctant to surrender sovereignty to the European Commission on energy supply issues that have a national security dimension, she said. Others even question the Commission’s motives for asking a mandate and whether it is not more interested in passing the Nord Steam 2 political hot potato to EU member states. “The bigger question is whether they really want it. And here I have my doubts,” noted Dr Andreas Goldthau, a professor at the Royal Holloway University of London, saying the EU executive is probably looking for “an exit strategy” to the legal obstacles it faces in trying to block Nord Stream 2. “They put themselves into a corner and they need a face-saving option,” Goldthau commented. The Energy Union is one of the flagship initiatives of the Juncker Commission. It aims at strengthening the EU’s energy security and ensure the functioning of the internal energy market. The only consequence of blocking Nord Stream 2 is that member states are forced to buy US LNG that is 50% more expensive. I can’t see how that would improve EU energy security.